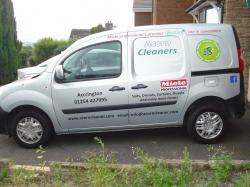 Acorn Cleaners have been officially endorsed by Miele as their premier Wetcare site in Lancashire. Through intensive research into the Dry Cleaning Market, Acorn Cleaners carefully selected the green alternative to Dry Cleaning, which is Miele’s green alternative to Dry Cleaning. The professional fabric care of the future. Miele have officially recognised Acorn Cleaner’s leadership as the first 100% dedicated site in the whole of Lancashire.